This post has already been read 276 times! TOPIC: The scientific community has largely studied antibiotic resistance as the primary cause of antibiotic therapy failure. However, many recalcitrant and relapsing infections are not caused by resistant organisms. Instead, antibiotic tolerance, mediated by persister cells, is a more likely explanation for antibiotic failure in these infections. Chronic infections, including indwelling devices, osteomyelitis, cystic fibrosis, endocarditis and deep-seated infections, are associated with biofilms. Many antibiotics are proficient at killing growing cells and we rely on the immune system to clear the remaining, dormant persisters. Biofilms are especially problematic, as they protect persisters from the immune system through a robust matrix. Uniquely, in staphylococcus aureus, cells in the stationary phase are fully tolerant to antibiotics, and thus essentially persister cells. This essentially makes cells in this phase unresponsive to antibiotics. 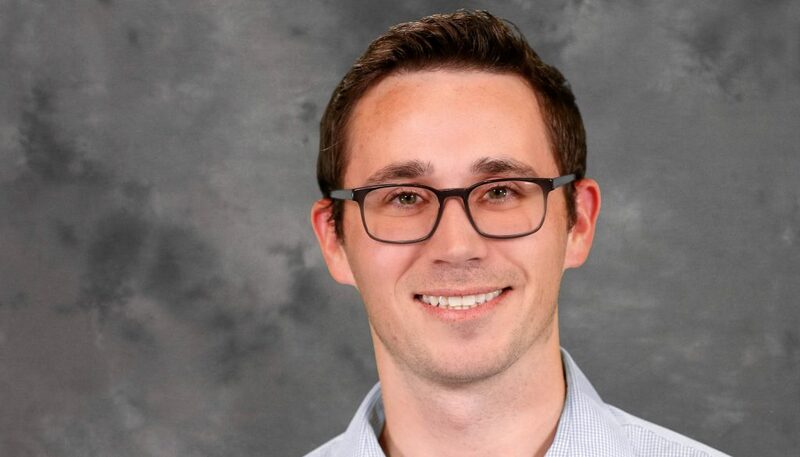 PRESENTER: UNK assistant professor of biology Austin Nuxoll and his research group have spent the past five years identifying the mechanism for persister formation and determining the importance of these cells in a clinical setting. A native of Comstock, Nuxoll earned a bachelor’s degree from UNK, where he was an INBRE Scholar, before receiving a doctorate in pathology and microbiology from the University of Nebraska Medical Center. His doctoral work focused on how amino acid metabolism is important for staphylococcus aureus survival in chronic kidney infections. Nuxoll received two years of postdoctoral training at the Antimicrobial Discovery Center at Northeastern University in Boston. During this time, he focused on mechanisms of antibiotic tolerance within staphylococcus aureus with a focus on central metabolism.